I've done a few jobs on my project today. 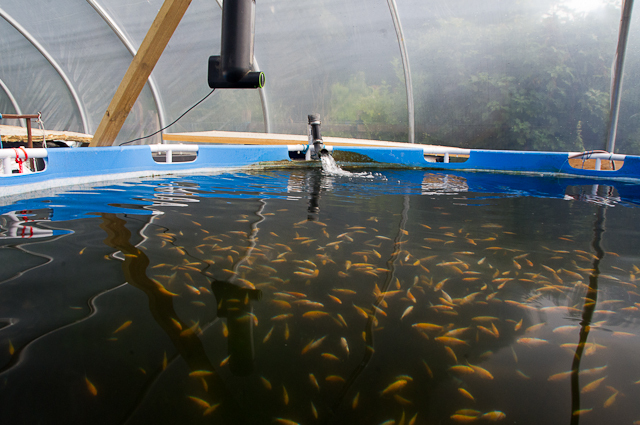 Spent some time observing the fish, and mending the banks on both fry ponds. The heavy rainfall recently raised the water level in both ponds and there were water overflowing! I don't want the fry to be lost in the overflow, so some quick raising of the banks in strategic places will keep that in check for now. Whereas in chestnut pond, the daphnia have gone missing! I havent spotted any. 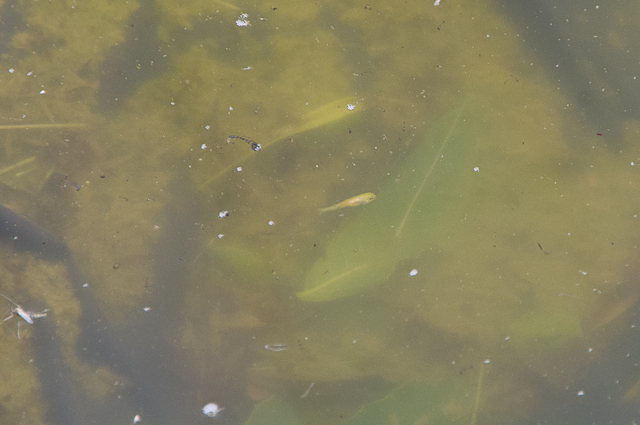 Here's a shusui fry, and you can see the difference in the water by comparing the picture of the kohaku above with the shusui below - the water is so different, and yet the ponds are right next to each other and I treated them in very similar ways. 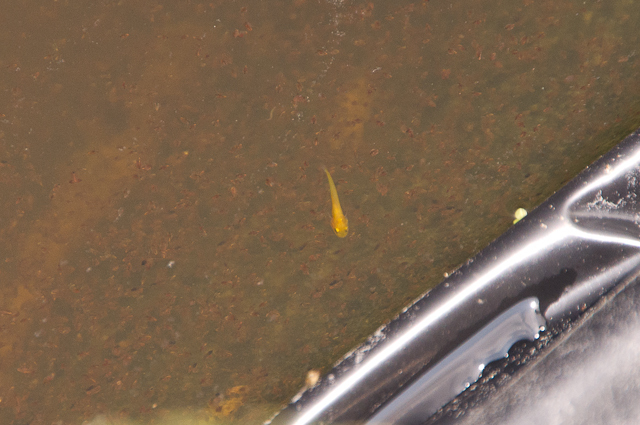 The kohaku fry from my early summer spawning are around the 3 inch mark on average, and here's a picture showing them waiting to be fed - gives you an idea of how they look as a showl; there's a comparable picture on an earlier blog when they were younger. Second selection is long overdue! I've ordered a new seine net to help me net the fry, and I must get on with the selections as soon as possible.